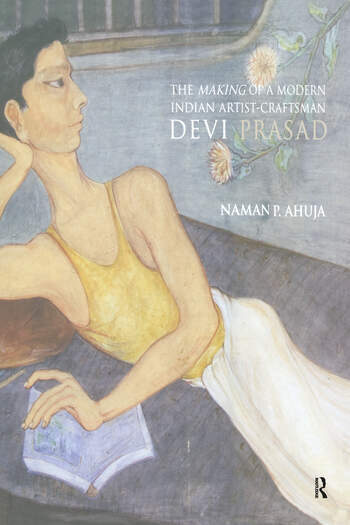 The Making of the Modern Indian Artist-Craftsman is intended to be a biographical and critical insight into the work of the potter, painter and photographer Devi Prasad. Apart from the making of his personal history and his times, it leads us to why the act of making (art) itself takes on such a fundamental philosophical significance in his life. This, the author explains, derives directly from his absorption of Gandhi’s philosophy that looked at the act of making or doing as an ethical ideal, and further back to the impact of the Arts and Crafts Movement on the ideology of ‘Swadeshi’ and on the milieu of Santiniketan. This book examines his art along with his role in political activism which, although garnered on Indian soil made him crisscross national borders and assume an important role in the international arena of war resistance. Devi Prasad graduated from Tagore’s Santiniketan in 1944 when he joined the Hindustani Talimi Sangh (which promulgated Nayee Taleem) at Gandhi’s ashram Sevagram as Art ‘Teacher’. His political consciousness saw him participate actively in the Quit India Movement in 1942, in Vinoba Bhave’s Bhoodan and later from 1962 onward as Secretary General (later Chairman) of the War Resisters’ International, the oldest world pacifist organisation based in London. From there he was able to extend his Gandhian values internationally. All of this, while continuing with his life as a prolific artist. Rather than view them as separate worlds or professions, Devi harmonises them within an ethical and conscionable whole. He has written widely on the inextricable link between peace and creativity, on child /basic education, Gandhi and Tagore, on politics and art, in English, Hindi and Bangla. In 2007 he was awarded the Lalit Kala Akademi Ratna and in 2008, the Desikottama by Visva Bharati University, Santiniketan. Naman P. Ahuja is Associate Professor of Indian Art and Architecture, School of Arts and Aesthetics, Jawaharlal Nehru University, New Delhi.